Viral casting calls are becoming the new standard for casting models. Marc Jacobs cast his fall/winter 2014 fashion week show using Instagram and Twitter and this season, he’s taking to social media to find his models once again. 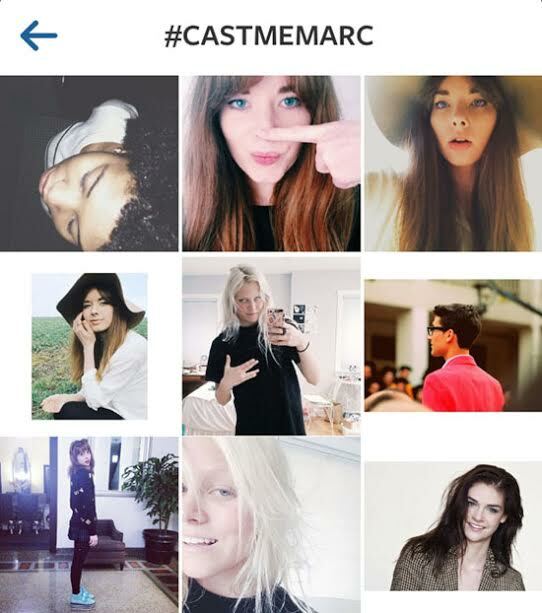 Using the hashtag #castmemarc, girls all over the world were able to audition to be a part of Marc Jacobs’ next campaign. Jacobs is not the only designer using social media to cast his models. British ecommerce site, ASOS used Instagram to cast the latest model for their Curve line. Using the hashtag #MakeMeACurveModel, Lauren Punter was chosen out of 2,000 contest participants. Brandy Melville has also joined in on the Instagram bandwagon to cast their models. Social media is no longer just about who has the largest amount of followers or the most “friends.” It is now an essential tool for anyone who hopes to be in the fashion industry. Will you join the #castmemarc campaign?